The escarpment is finally left behind as you cross the footbridge over Crooked River to commence the long meditational walk along the length of Seven Mile Beach, backed by the heathland and forest of the National Park of the same name. 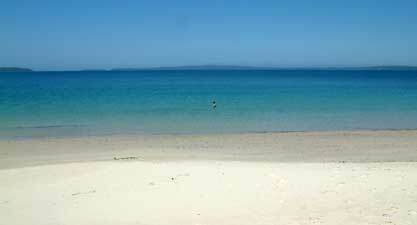 At the end of the beach the track crosses into the village of Shoalhaven Heads on the edge of the Shoalhaven River. Here lies the first major obstacle of the walk – crossing the Shoalhaven. As the mouth here is not the main exit, there is often a sandbar blocking it, which provides an easy route across to Comerong Island. If the river is open, a boat hire or hitch is the only way across. If neither of these is feasible, the fallback position is to take the local bus to Nowra and then a second local bus to either Greenwell Point or Culburra. However, assuming you make it to Comerong Island, part nature reserve and part dairy farm, the walk is very interesting as it passes through the rich green pastures and wetlands of the river flats, crossing the Berry Canal (dug in 1822) on a small car ferry in the process. On reaching Greenwell Point, the broad reach of the Crookhaven River emerges as another large obstacle – again a boat hitch or hire (from the Anglers Rest Park) is the only way across, but a very enjoyable one. Once in Orient Point, the route passes through the streets of this village and neighbouring Culburra, before regaining the coast at the mouth of Wollumboola Lake. 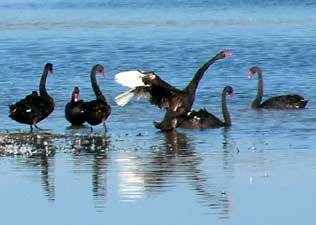 Crossing the narrow sandbar, you then follow the tea-tree lined eastern shore of this large lake, home to flocks of swan and other waterbirds. At its end, the route crosses an area of open heath to pick up a narrow bush road. 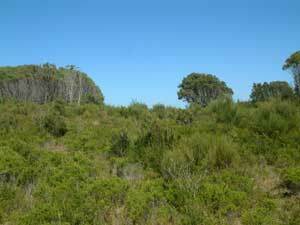 This takes you across the sealed Currarong Road and into taller sclerophyll forest of Jervis Bay National Park. Emerging from the forest you are greeted with the wonderful sight of Jervis Bay itself, with its brilliant white sand and clear blue water. It could even be time to stop and have a swim. Once on the shore, a long walk along the white sand beaches of Jervis Bay takes you past Callala village and on to larger coastal resort of Huskisson. Here lies one last water crossing, Currambene Creek, a deep but narrow crossing. Swimming or boat hitch / hire are the ways to reach the iconic Husky Pub on its southern shore – time for an ice cold beer, perhaps, as you have reached the end of the third stage. The main issue in section 3 is that the Shoalhaven River mouth is periodically open (as of Jan 2016 it is open). When it is closed, you can walk across the sandbar to Comerong Island. To avoid private property, instead of wading the tidal flat it may be better to walk down the beach and pick up the track through the nature park to Comerong Island Road. When it is open, either a long bus trip through Nowra to Greenwell Point or Culburra is required or., alternatively, a boat trip across the river to Comerong Island. On the Yuraygir Coastal Track in Northern NSW, private boat-owners will take people across rivers for a small fee. The possibility of this at Shoalhaven Heads needs to be investigated. The route along Shaws Creek between Comerong Ferry and Greenwell Point probably crosses private land. There is a 4WD track that avoids this by exiting on to the main road in to Greenwell Point, but perhaps a right of passage could be negotiated. Just south of Wollumboola Lake, the 4WD track (shown on a 1:25,000 map) that we followed was very faint for a couple of kilometres – there may be alternate ways to reach Currarong Road. There is a water crossing at Currambene Creek to reach Huskisson. It is deep but short, so can be swum, but perhaps finding a boat-hire place or boat-owner prepared to ferry people across might be desirable. The Husky Ferry might be an option, but does not have a frequent timetable.